Inglewood, CA – PML designed an extra capacity cover for the front differentials on 2003 to 2012 Ram 2500 and Ram 3500 trucks. 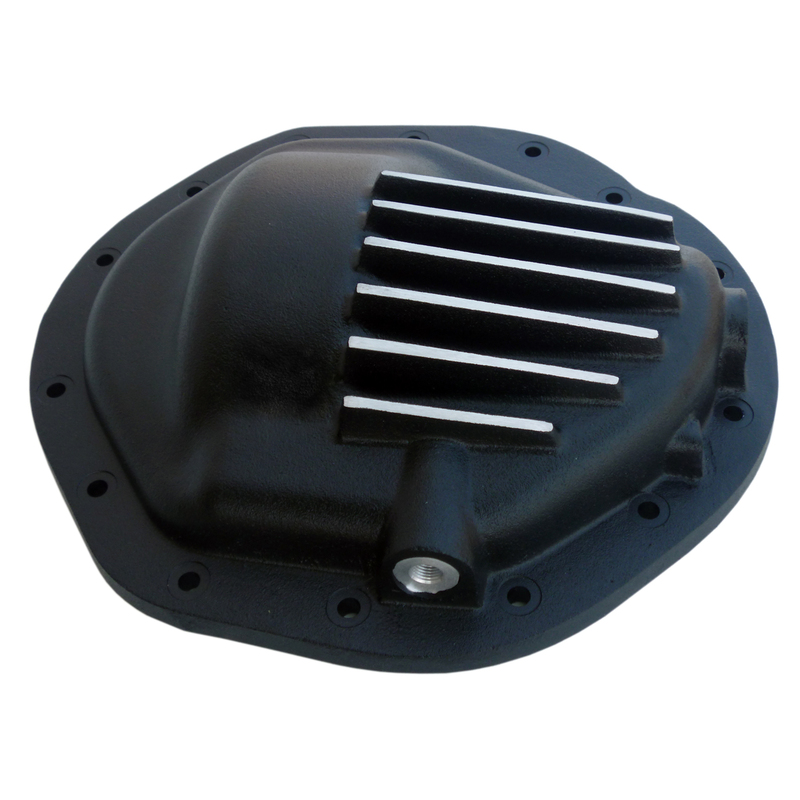 This cover is a bolt on replacement for the stock cover on the American Axle Manufacturing (AAM) 9 1/4 inch ring gear differential used in these trucks. Because of many clearance problems with steering, U-bolts, and suspension , PML maintained a low profile with partial fins with this cover. Starting in about 2008, Dodge added a U-bolt to the front end design that would contact larger aftermarket covers when at the limit of the steering. This U-bolt was retrofitted on early year trucks during service visits. The suspension on Megacabs would also contact a larger cover when the truck was loaded. PML designed this cover to avoid these problems. About PML: In business since 1986, PML offers a line of more than 100 products. As automotive enthusiasts, PML choose to focus on top quality sand castings for the automotive aftermarket. PML grows its product line every year and welcomes input. PML designs and manufactures all products in the USA. PML is a member of SEMA and the GoodGuys Rod & Custom Association. Information on PML’s full line of products is available on their website, http://www.yourcovers.com.